Forgiveness Is what We Need…To Stay Healthy? Yes, you read that right. Forgiveness really does have something to do with how healthy you stay in the long term no matter where you live—whether here in Chattanooga or all the way out on the west coast. You’ve read our post about smiling being good for your health , maybe? Well, it’s kind of like that. Forgiveness can help you in lots of ways—it’s not just a nice Bible theory you learned about in Sunday school at Calvary Chapel Chattanooga. Let’s look at some of the ways forgiveness helps your heart, your immune system, even your sleep. It all comes down to blood pressure. Apparently anger spikes the heart rate, and long-term anger—a grudge—will keep you tense on a daily basis. In this informative article , the author reports a study finding that in married couples , when one forgave the other, both parties had a decrease in blood pressure. It’s something you might find happening at the Chattanooga Bible Institute counseling center. 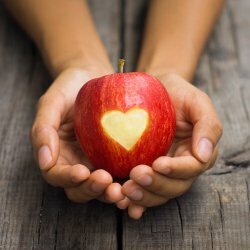 In this Johns Hopkins research article , Dr. Karen Swartz claims that “there is an enormous physical burden to being hurt and disappointed.” Anger leads to stress, which always taxes the heart muscle. It takes a lot of energy to stay angry—energy that raises your blood pressure. This benefit of forgiveness may sound far fetched, but there is documented evidence that forgiveness can actually boost the immune system. A study working with HIV patients found that after forgiving someone who had hurt them, these patients had higher CD4 cell percentages (considered positive for the immune system) than those in the study who had not forgiven someone. Another desirable result of forgiveness is its positive effect on sleep. The real benefit of forgiveness is on overall health, but if you think about, this inevitably will lead to better sleep. When your stress levels drop, you don’t lie awake at night trying to figure out how to control the person you’re angry at, or trying to figure out how to fix your negative feelings. This study found that when “the victim relinquishes ideas of revenge, and feels less hostile, angry, or upset about the experiences,” they are going to feel better overall. Obviously you can sleep better without all those bad feelings about people. If you struggle to fall asleep and stay asleep, the culprit might just be anger. Give forgiveness a try. All these benefits of forgiveness sound nice, but how does one perform such an act when you feel that justice needs to be served? You can take it step-by-step like in this article , but mostly you’re going to have to work through your negative emotions. Grab a neutral friend and talk it out. You could even book a session at the Chattanooga Counseling and Meditation Center . You might try making forgiveness a New Year’s resolution—and then a daily habit! What are your forgiveness tips? Do you have a relationship that you have to maintain a running “forgiveness tab” so that things don’t get too tense? Tell us about it! Our readers would love to hear.